We have an old TV. It’s old and huge and heavy and not at all flat-screened. By “old” I mean to say that our TV probably rolled off the assembly line about 10 years ago, a fact that, unless you’re a teenager, will probably make you feel very old yourself. This TV is not high-tech or beautiful, but it does work, so we keep it around. As it turns out, that’s increasingly rare. According to the Consumer Electronics Association, American consumers consistently spend more than $1,000 per year on household electronics like televisions, computers, and smartphones. That’s a lot of money, but assuming we all have the money to pay for these gadgets, what’s more distressing is what happens to the older, less-advanced devices they aim to replace. 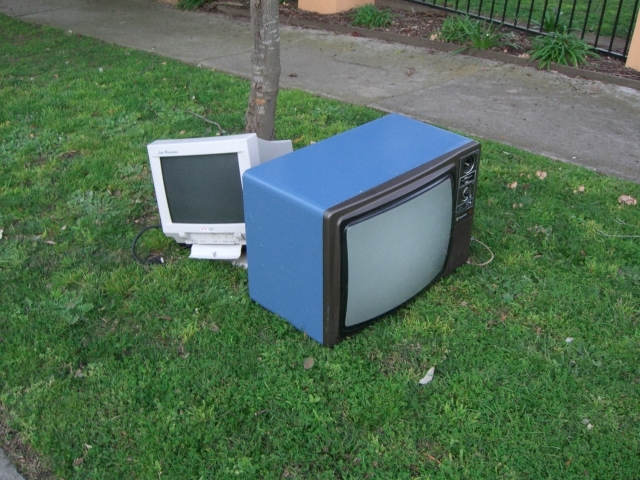 To be blunt, most of these discarded gadgets end up in landfills, says the Environmental Protection Agency. In fact, it is estimated that Americans throw out more than 350,000 cell phones and 130,000 computers every day, making electronic waste, or “e-waste,” one of the fastest growing components of landfill waste. And while that huge, old computer monitor may seem innocent enough, it’s packed with lead and other toxic chemicals, which isn’t just bad for the environment, it’s bad for us too. So what can you do with your electronics when they’re no longer of use? Check out a few environmentally friendly options in my new post on WiseBread.com.